Louis-David Morisset-Noël left his home Sept. 21 and visited his mother, who lives in Saint-Hubert, two days later. He was spotted in Saint-Hubert at the beginning of October but hasn’t been seen since. 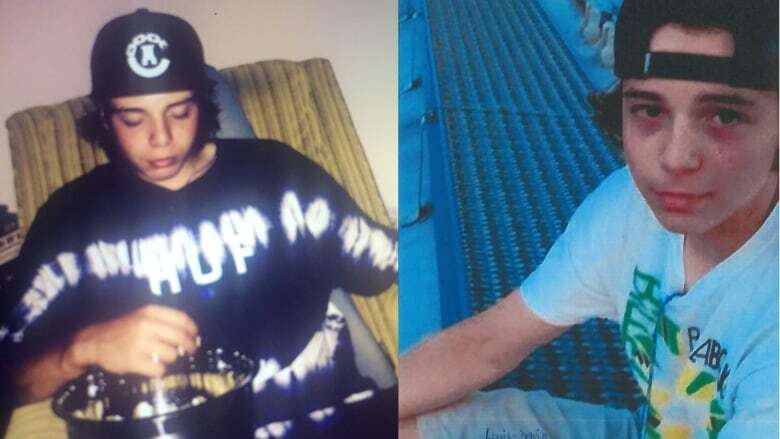 Louis-David Morisset-Noël was spotted in Saint-Hubert in October, hasn’t been seen since. Nov. 29: Longueuil police confirm that they found the body of Morisset-Noël. No foul play suspected. Louis-David Morisset-Noël, 16, left his home in Quebec City Sept. 21 and visited his mother, who lives in Saint-Hubert, two days later. Wednesday, police searched a wooded area of Saint-Hubert which Morisset-Noël and other teens are known to have used as a meeting place. Morisset-Noël stands 5-8", weighs 163 pounds and has long brown hair and brown eyes.